The gripping story of a woman torn apart by the two cultures that would attempt to put her back together. 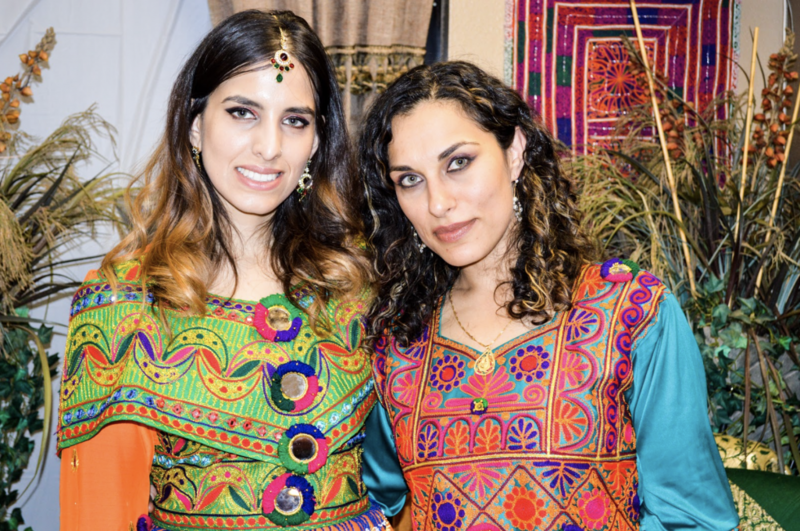 Raised amidst two cultures, Afghan-American and proud Muslim woman Shahira N. Qudrat found herself at odds with her own identity. Nestled between two flags, Shahira struggled to find a balance between her strong Afghan community and the new American way of life. She relives her family upheavals, failed relationships, and spiritual searchings on how she came to find her own genius in the space she calls “the authenticity zone”. In this searing collection of memories, Shahira confronts the intersection of difficult subjects such as immigration, feminism, religion, discrimination, harassment, and living as a Muslim woman in America post 9/11 through powerful and poignant stories of seeking and living her authentic self in everyday moments. 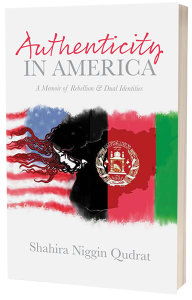 "Authenticity in America is a beautiful, painful, yet courageous and hopeful account of Shahira’s life story struggling to find her identity as a second generation Afghan-American immigrant woman. The book is a genuine account of her lived experiences as a child, a teenager, a young adult, and an adult who has been caught between two worlds, cultures, and existences forcing her to constantly compromise to do the 'right thing' to be a 'good Afghan Muslim girl'. 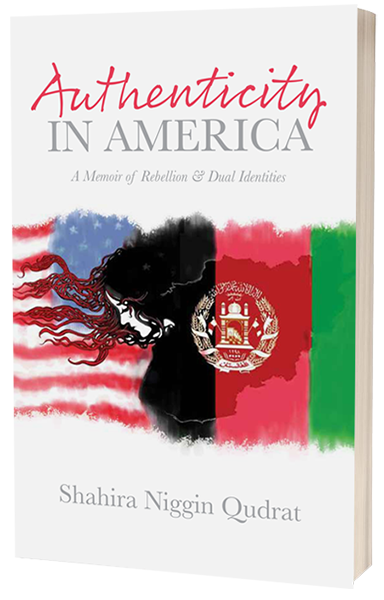 Shahira’s story depicts the struggles of the second-generation Afghan women who face the complex psychological dynamics of finding their true identity while living in both spaces of Afghan and American realities. Her realization of engaging in self-reflection, forgiveness of her unjust past, and accepting her true self has allowed her to be an “authentic” second generation immigrant woman whose identity does not exist in a binary of “good” or “bad,” rather being a genuine, congruent, and authentic strong woman with distinct strengths and vulnerabilities." The fear-driven politics of America have pushed people to question the value of our heritage and roots, and where there is fear people are unable to grow or succeed. The truth is America is made up of multi-ethnic, racial, and religious people and views, and the more we can empower women to uncover the internal "tug-of-war" with their identities, the quicker and more effective we become as successful Americans that can help reach across borders and bridge gaps for our families, and for the global community. This book begins to repair the breach. Shahira Qudrat is the only cross-cultural leadership guide and consultant for Multi-American women who desire to excel in corporate leadership while defusing cultural blocks and self-limiting beliefs and juggling dual-identities. She provides corporate consulting, workshops and one-on-one mentorship that demystifies cultural nuances within the workplace and helps women with dual-identities grow and excel. She is also the founder of Multi-American Moxie, an organization that develops breakthrough personal and professional leadership programs for first & second generation American women who desire to live in their zone of authenticity. As a thought leader, motivational speaker, and role model for women who struggle to exist within dual cultures, Shahira teaches them to navigate life within dual cultures, and embrace their roots along with their American identity. Active in community service, Shahira spends time aiding refugee families in their transition to American life. With an MBA under her belt, she also serves as a business leader who merges passion with purpose. Her own core strengths include organizational change management, high functioning team development, business strategy planning, and project management. Shahira is also passionate about her roles as a mother, wife, sister, and daughter. She and her husband reside in Denver, Colorado, where they are raising their five beautiful children. Fill out the form below to inquire about press and media opportunities, speaking engagements, book signings, distribution and bulk rates. You can also send an email to shahira@multiamericanmoxie.com. © 2018 Authenticity in America. All Rights Reserved. Online Branded Experience created by Wallace Marketing Group.